Hello, readers from all over the world! I've seen the stats this morning and according to Blogger, I have readers in the USA, Russia, South Korea, China, The Netherlands, UK, Austria, Switzerland, Ireland, Australia, France, Spain, Taiwan and Brazil of course. Nice! Wait, no cacti?! Nothing about whisky, beer or pipe smoking either? 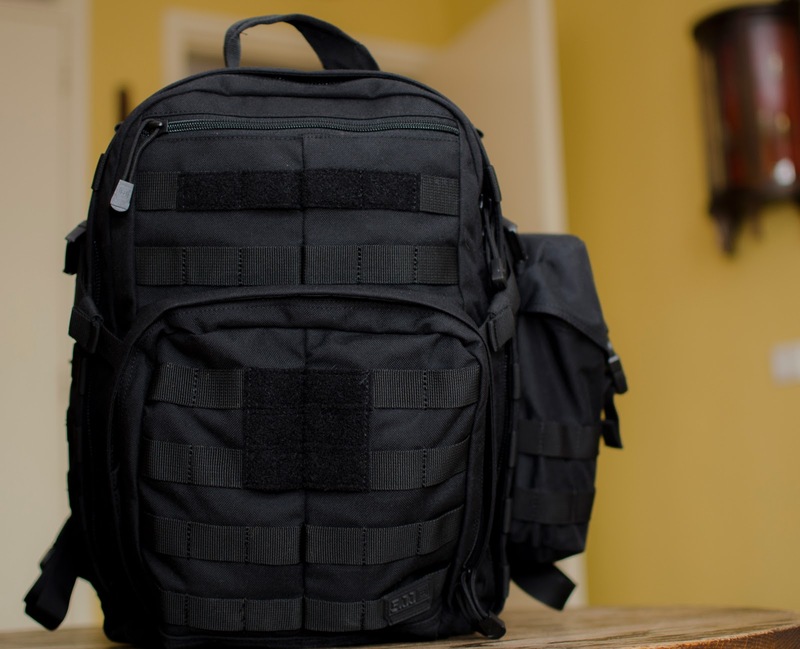 Today's blog post is about my new backpack: the '5.11 Tactical RUSH12™'. I like backpacks and never leave my home without one. Why? Because it's so freakin' handy; you can carry whatever you want and keep your hands free. Needless to say, I do carry a bunch of stuff. 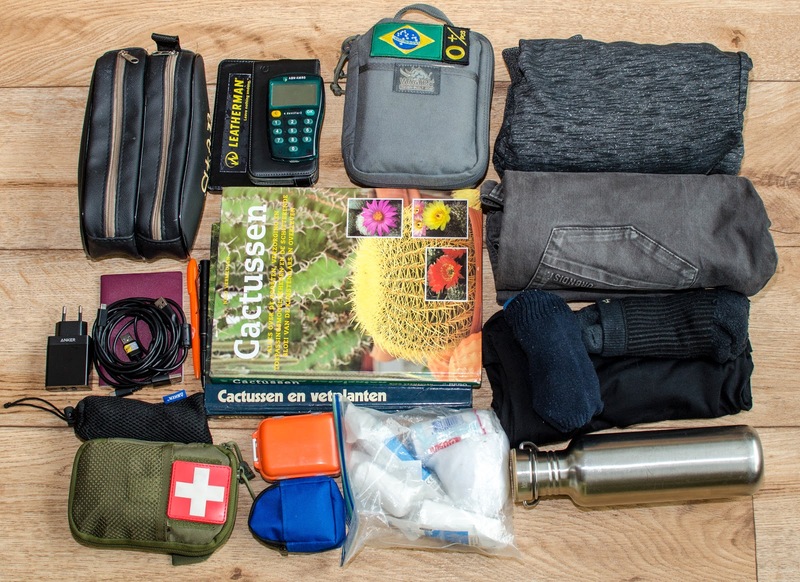 A water bottle, study books, First Aid Kit, EDC pouch, my lunch box, etcetera, just to name a few. 'You already have three backpacks! Why do you need another one?! ', said my lovely wife. 'Well...because this might be THE ONE! ', I answered. Then she said smiling: 'Okay, if it makes you happy, go buy it.'. I love that woman! She has to live with all the cacti, whisky, pipes and EDC stuff. She must love me a lot too, haha! 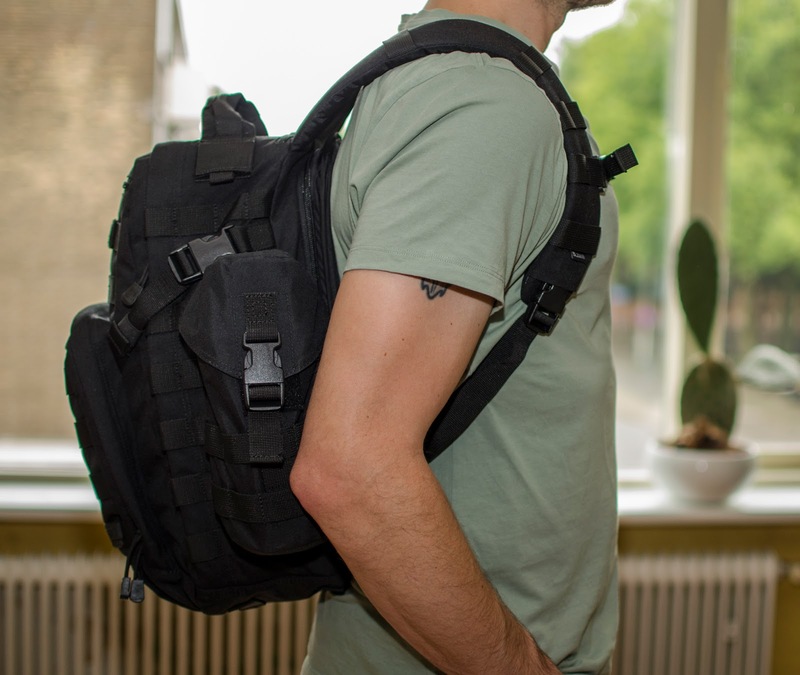 It took me a while to decide whether I should buy a tactical backpack or just a normal looking one. There are things to say about both options. 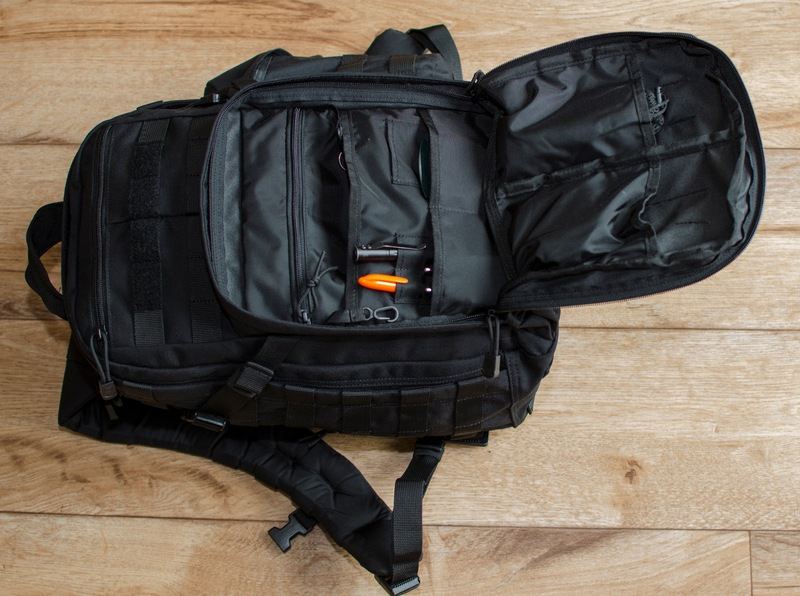 A tactical backpack might call too much attention. I mean, I don't want to walk around like John James Rambo. 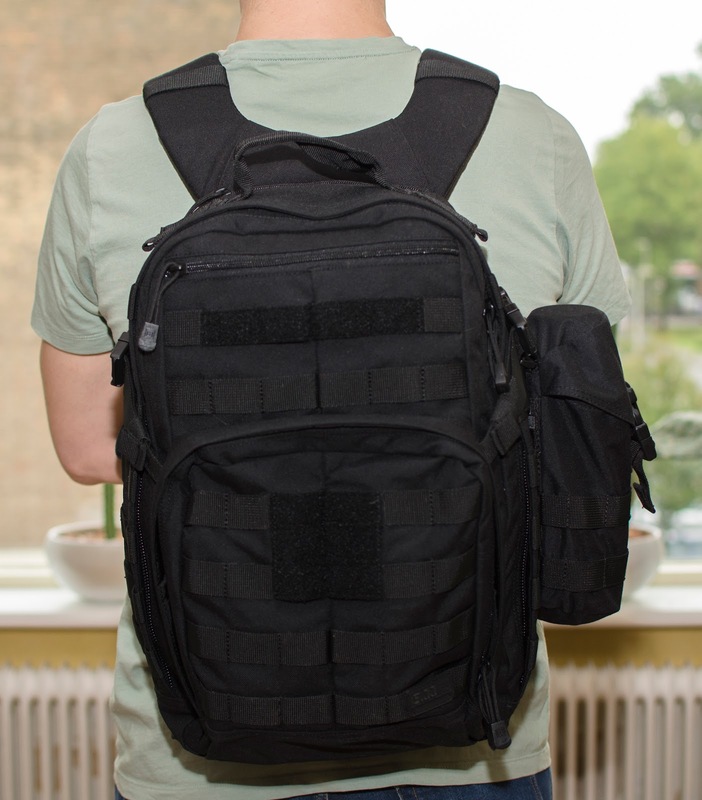 On the other hand, tactical backpacks have a lot of options. It's fairly easy to attach a pouch or just anything you want to the Molle system (pronounced "Molly"). 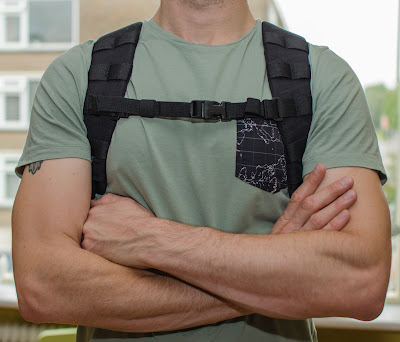 The more common looking packs do blend better in an urban environment, but after packing the rain cover from my old Deuter, I can easily hide the tactical appearance when TSHTF (of course it's also handy for when I need to walk for long period of time in heavy rain). My last backpack was a Deuter Spider 20 and before that one, I've had a slightly larger Deuter. Now, I'm not going to complain a lot about Deuter, because their Backpacks are top-notch and will last for many years. However, the 'Air Comfort' system on their smaller packs annoys the crap out of me. Yes, it does keep my back cooler, but it also pulls my shirt up every few steps I take. The empty space between the 'Air Comfort' panel and the actual pack also gives you a smaller backpack than necessary and because of this, both the rear and the front of the pack are round. Just some books, a lunchbox and a sweater are enough to fill it up (I'm talking about the 20-liter backpacks with 'Air Comfort'). Keep in mind that this is my personal opinion. I just want you to be aware of it. If you ever feel like buying this particular backpack, go to a store, put some weight in it and walk around at your normal speed. Enough about my old pack. Let's move on to the Rush 12! There are three different Rush packs on the market: the 12, 24 and the 72, which can be translated to half a day, one day and three days. 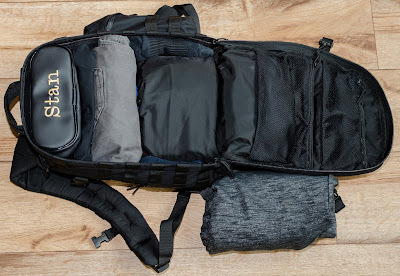 I was looking for a not-too-large EDC(Every Day Carry) bag that can carry all the stuff named above and maybe offer some extra space for a sweater or a jacket. After seeing a few reviews on YouTube, the Rush 12 seemed my best option. I've decided to go for the black version. Mainly because it looks just a bit less tactical than the 'Multicam', 'Sandstone' or 'Double Tap'. 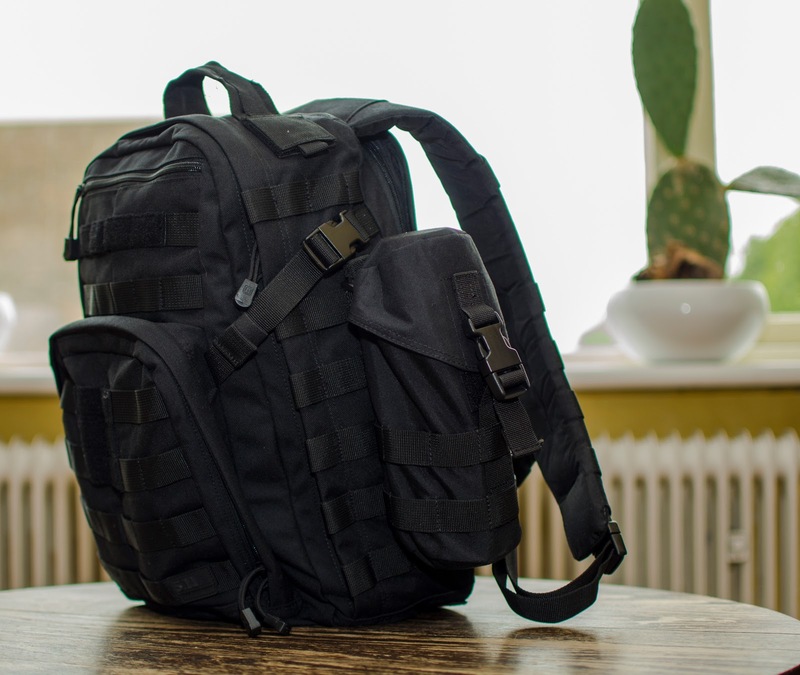 There were other options on the market, but taking quality, price, and availability in consideration, the 5.11 Tactical RUSH12™ beats them all. I've ordered my Rush 12 at www.nightgearstore.com (UK) and they've actually shipped it within a week for "free" to the Netherlands. The Rush 24 seemed a bit too fat to carry around in an urban environment. Imagine yourself standing in a loaded bus with a huge pack on your back. That's why I've decided to go for the Rush 12 and make use of the Molle system so that I can expand to the sides. That is why, next to the backpack, I've also ordered their H2O carrier (before ordering this pouch, check if your bottle will fit in it. I have an 800ml/27oz Klean Kanteen with a stainless steel lid. The plastic lids are higher and you won't be able to close the pouch properly). Later on, I'll maybe add another pouch to the other side of the bag). And even then, there is still a lot of free space left. 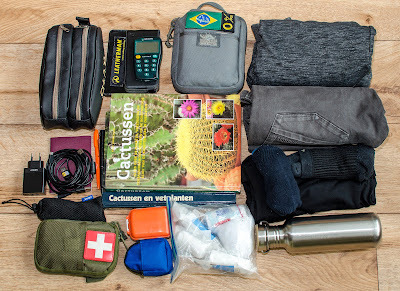 Last week I traveled with my family and was able to fit in some clothes of my son and the camera bag of my wife. Still some free space left! Let's see how much it takes to fill it up entirely. Even with everything listed above inside the pack, I could fit in more. I haven't even used the top-front compartment and I could easily throw more gear into the lower front compartment. Kind of impressive, right?! 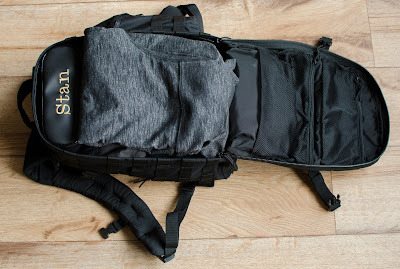 I also use the Rush 12 as a sports bag and simply leave everything in it that I would carry on a regular day and just add a towel, my boxing shorts, some sports shoes, hand wraps and attach the gloves with the straps on the sides of the bag. Of course, I could fit in everything if I would take out my kits, but I rather leave them in there. You never know when you need something. Well, that was it for today. Stay prepared and till next post!